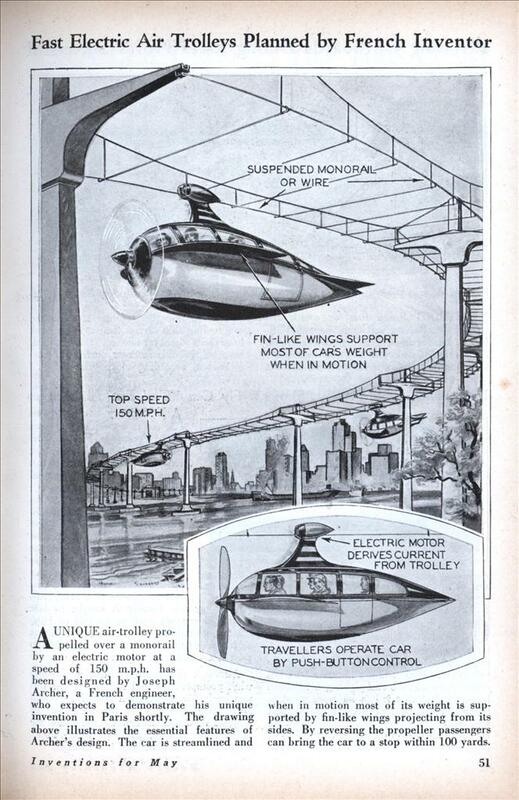 A UNIQUE air-trolley propelled over a monorail by an electric motor at a speed of 150 m.p.h, has been designed by Joseph Archer, a French engineer, who expects to demonstrate his unique invention in Paris shortly. The drawing above illustrates the essential features of Archer’s design. The car is streamlined and when in motion most of its weight is supported by fin-like wings projecting from its sides. By reversing the propeller passengers can bring the car to a stop within 100 yards. 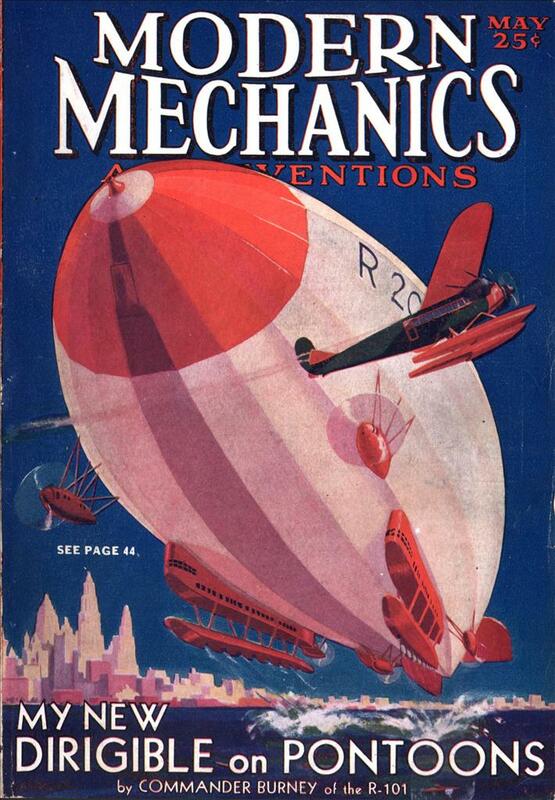 That picture is the very essence of the 1930s future. I can imagine Flash Gordon riding one of those on the Planet Mongo. Cool I want these instead of streetcars! Just how does the car clear each pylon? @Andrew: Or aerodynamics. Those fins would be very poor substitutes for wings. Why isn’t there an illustration of the Eiffel Tower in that city of the future?